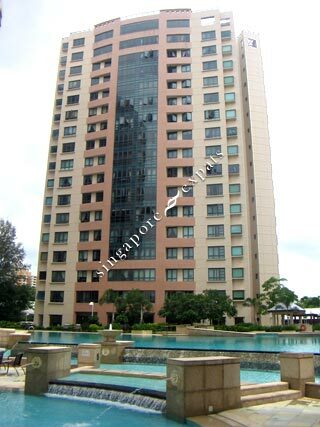 Haig Court is a freehold condominium situated at Haig Road, off Mountbatten Road and Dunman Road. Haig Court is very near to amenities including shops, schools, markets, food centres and malls such as Katong Shopping Centre, Parkway Parade Shopping Centre and famous Joo Chiat and Katong eating outlets. Enjoy country club recreationalfacilities at this condominium. Haig Court is accessible via the nearby Paya Lebar MRT Station and the up-coming Tanjong Katong MRT Station. Residents can use the East Coast Parkway (ECP) to travel to the Central Business District and Changi Airport. Facilities include tennis courts, huge pool, childrens playground, putting green, fully-equipped gym, landscaped gardens and community room. Near to good schools - Tao Nan, Haig Girls' School, Canadian International School & Tanjong Katong primary. Walking distance to I12 Katong Shopping Mall and Parkway Parade. Walking distance to East Coast Park and numerous restaurants and shops. Near to good schools - Tao Nan, Haig Girls' School, Canadian International School & Tanjong Katong primary. Walking distance to I12 Katong Shopping Mall and Parkway Parade. Easy access to Changi Airport & City. Apartments: Spacious interior, wonderful layout. Facilities: newly renovated gym, resort swimmingpool, 4 bbq pits, 2 function rooms, outdoor areas to unwind. Highly recommended after 5 years tenancy. Lovely condominium with great family orientated management committee members and neighbours!